The FG trio started in 1998.Gjerstad and Nilssen-Love ́s collaboration goes back to 1992 when Frode formed Circulasione Totale Orchestra together with a rock band plus Paal as a second drummer. Since then, they have worked together in various settings as duo, trios and quartets. CD/LP releases include a handful of 25 titles with various collaborations. Since the formation of this particular trio, there are a total of 13 CDs released, the latest of which is “Bop Stop”, a live recording from September 2017 with Steve Swell, released on Clean Feed records. 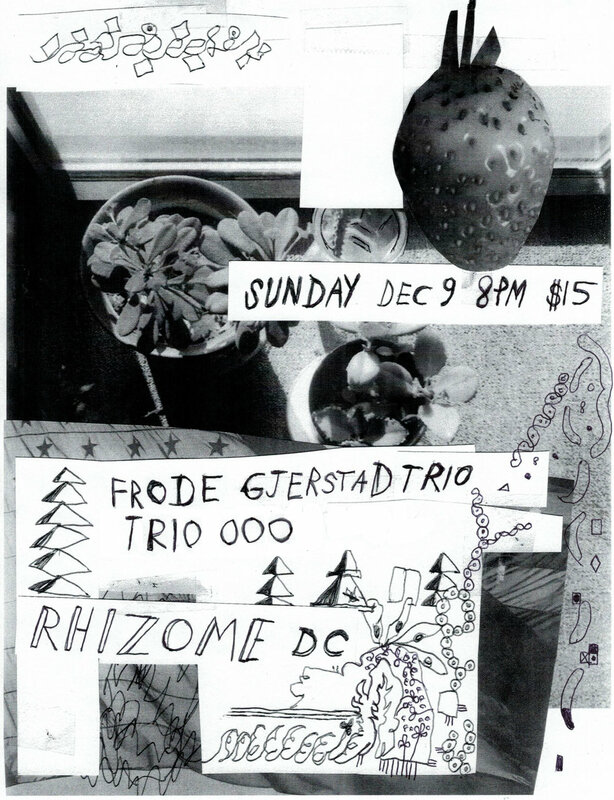 The trio's music is free improvised and has its roots in the free-jazz tradition. The trio enjoys a high level of energy but with strong dynamics and rapid contrasts. The trio has developed a sound of its own and has its strength from many years of experience as a working group. Frode Gjerstad has for many years declared his enthusiasm towards small line-ups, and especially trio. With over 100 recordings as a leader, he has established himself as a major saxophonist on the international scene. His trios have included strong drummers and bass players such as John Stevens, Hamid Drake, Rashied Bakr, Johnny Dyani, Kent Carter and William Parker. Øyvind Storesund has also played with Cloroform, a trio mixing rock and free forms, and with Brøtzmann, Veryan Weston, John Butcher, Sten Sandell and the rockband Kaizers Orchestra. Jon Rune Strøm has emerged the Norwegian scene as a bassplayer with extremely high energy and stamina. Taking inspiration from William Parker, Johnny Dyani and Harry Miller,he represents a new generation of Norwegian bassplayers. He is also a regular member of bands like Saka, All Included, Friends and Neighbours and Paal's large ensemble Large Unit.